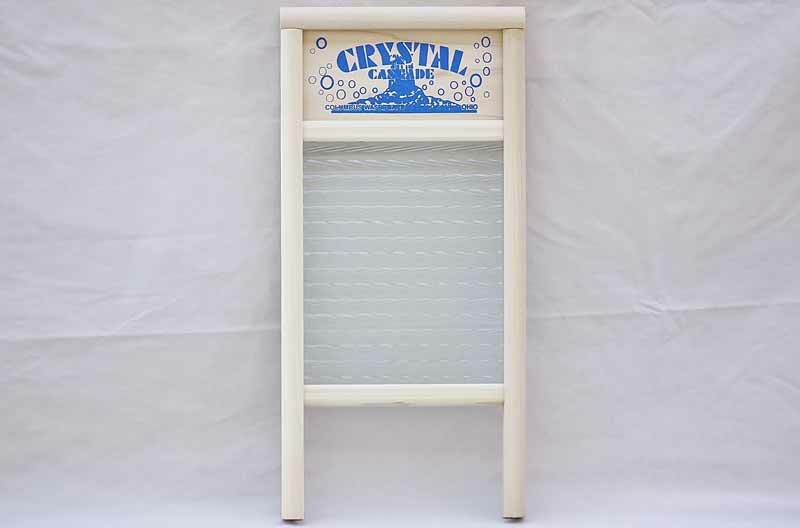 Hear the crystal water cascade on this fine glass washboard. This beautiful, decorative washboard will take care of the dirtiest of clothes. The durable glass holds up to rough scrubbing. After the wash, hang it in your laundry room for quality, country aesthetic. Add this function, decorative item to your laundry supplies today! Washing surface dimensions: 7" x 8 1/2"